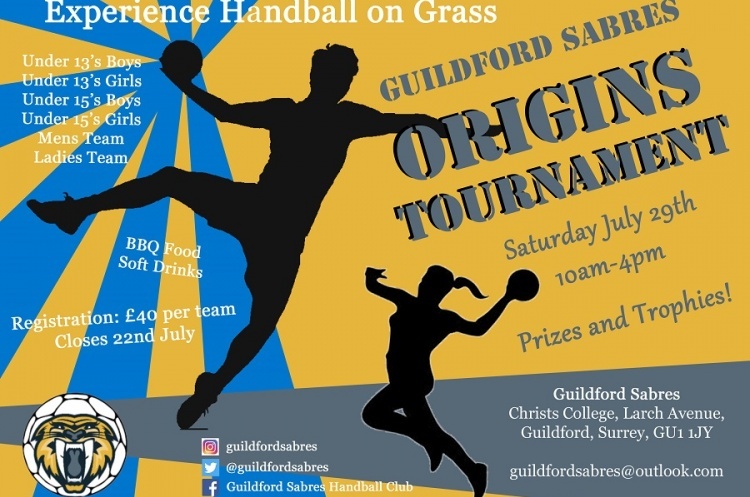 Guildford Sabres Handball club is hosting a grass tournament at Christ’s College in Surrey on 29 July 2017. There will be six competitions on the day, under-13 and under-15 boys and girls, as well as women’s and men’s. On top of the competitive matches there will be a barbeque and soft drinks on what promises be a fun-filled day. Enter a team and take part in a great day playing most exciting, high scoring, action packed team sport that can be played anywhere by anyone.